WORRIED Kim Jong-un has accused Britain of an “act of war” by sending Royal Navy warships to patrol the waters in the Korean Peninsula. The three armed vessels will help police sea trade as under-pressure Pyongyang looks on the brink of giving up its nuclear stockpileduring talks with the US. UK officials were blasted for “poking into affairs that are none of their business” by sending HMS Sutherland, HMS Albion and HMS Argyll into action. North Korea’s state news agency branded the warships “nothing short of an act of a naval blockade and an act of war that undermines peace and stability on the Korean Peninsula”. It added: “The UK would be well advised to deal with its domestic issues properly, instead of ingratiating itself with others and poking into affairs that are none of their business. Last week we reported how Marine commandos were sailing to North Korea to help police strict UN sanctions aimed at putting the squeeze on the rogue state. HMS Albion will monitor prohibited trading that is funding despotic Kim’s nuclear programme. UK Defence Secretary Gavin Williamson confirmed the mission would be the third warship sent to the Asia-Pacific this year. He said: “It shows our commitment to our international responsibilities and to maintaining peace, security and prosperity in the region. HMS Albion and HMS Sutherland will also train with the US, Republic of Korea and Japan. It started around 4pm PST when no less than a dozen KC-10 tankers began to pop up over the central United States. Around the same time, spotters in Minneapolis-St. Paul looked up to see a quartet of B-2 bombers barreling their way towards the southwest, their contrails streaking across the sky. It seems that yet another group of two sets of two B-2s followed shortly after. That is half the B-2 fleet in the air together at one time—something was clearly going on. B-52 flying over Manhattan before heading out across the Atlantic. 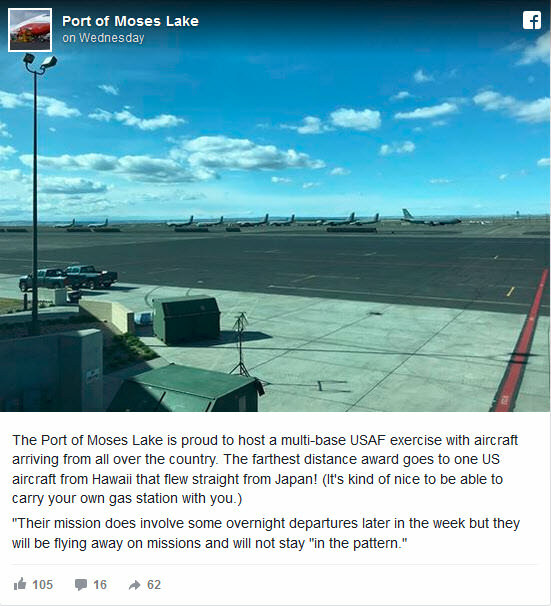 Meanwhile, The War Zone was pointed to the fact that large concentrations of KC-135 tankers have been amassed at Moses Lake in Washington State, as well as in Phoenix. Some of the aircraft came from units based far from American shores. Now an E-4B airborne command post has launched out of Andrews AFB. These aircraft function as a flying Pentagon during a crisis and the National Command Authorities can wage war from them and initiate the release of nuclear weapons from anywhere on the planet. It's quite possible that all these movements are not directly related, but at least the B-2 and KC-10 part of it looks very similar to the last iteration of an exercise nicknamed Neptune Falcon. During Neptune Falcon 2016, the U.S. Air Force's 509th Bomb Wing and the Missouri Air National Guard's 131st Bomb Wing, both based at Whiteman Air Force Base, launched 10 B-2s in rapid succession, according to an issue of The Warrior, Whiteman's official news magazine. Additional information on Neptune Falcon is relatively sparse, but various editions of The Warrior describe it is an "annual combatant command exercise" that validates "readiness to execute a key Operations Plan." It seems almost certain the combatant command in question is U.S. Strategic Command. The operations plan it mentioned maybe OPLAN 8010, which defines how the U.S. military would go about launching a nuclear strike. Ten B-2s is basically nearly the whole nuclear combat-ready inventory, and even then it takes a lot of hard work to get all those jets in the same air at the same time. We will keep you updated as to how this exercise unfolds and we have reached out to Strategic Command for more information on what is clearly a huge test of readiness and a major show of force. It's official, according to NOTAMs the exercise is indeed Neptune Falcon or a variation of that exercise. The B-2s, going by callsign 'Reaper,' are still up along with the tankers. An elongated rectangle block of airspace over the northern U.S., running roughly from Great Falls, Montana to just past Minot AFB in North Dakota, has been set aside. Another block of airspace reserved for the exercise sits northwest of the Nevada Test and Training Range. All told, this is likely the simulation of a long-range nuclear strike or global air power mission without leaving the United States. After plugging in the coordinates from the NOTAM here's what we get. U.S. Air Force Global Strike Command (AFGSC), which oversees the service's strategic bomber, intercontinental ballistic missile, and supporting units, has given Air Force Magazine a short, official statement confirming that this massive aerial display was a training exercise, but little else. U.S. Strategic Command has passed our separate queries to AFGSC, as well, and we will be sure to add an additional update if and when we hear back. Russian and Chinese air defense superiority means that even the most cutting-edge command and control aircraft in the American fleet would be shot down immediately in the event of a war, leaving U.S. forces blind on the battlefield. Air Force Secretary Heather Wilson told the Senate Appropriations subcommittee on defense that even with planned upgrades to the planes, Russian and Chinese technology means they would be too easy a target for effective use, the Air Force Times reported. Wilson was discussing the Northrop Grumman E-8 Joint Surveillance Target Attack Radar System (JSTARS) aircraft, designed as a flying command and control center able to conduct surveillance and distribute information to troops on the battlefield below. The Air Force is at loggerheads with lawmakers who want to replace the aging JSTARS fleet with 17 new aircraft, even though the service doesn’t want them. Battle Management System plan instead. This program would combine manned, unmanned and space-based platforms to achieve the same level of surveillance, officials said. But the House subcommittee has vowed to limit funding for that plan at 50 percent if the JSTARS program is shelved. Wilson said there was a middle ground between what the Air Force and lawmakers wanted, but warned it that would be costly. “Yes, we could do both, and it costs about $7 billion more than what we propose in our budget,” she said. Such an approach would keep the JSTARS platform in operation through to the mid-2020s. The U.S. military is well aware of the potent air defenses available to Russians, and, thanks to a recent deal, to China, too. The S-400 is considered the world’s finest anti-aircraft missile system and gives users the ability to hit enemy aircraft or missiles at a distance of 250 miles and an altitude of over 98,000 feet. Made up of four missiles of varying ranges and speeds, the most powerful can travel at Mach 15, or 11,509 miles per hour. Only America’s most recent fifth-generation aircraft, such as the F-22 Raptor and F-35 Lighting II jets, are thought to be competitive against such an accomplished weapon. Last month, China took its first delivery of the S-400 system, doubling the number of potential American rivals fielding the advanced technology. The S-400 makes U.S. military leaders nervous, and they are looking to close the gap. With Russia already working on the S-500 upgrade, the U.S. and its NATO allies will need to work quickly. The weapon will reportedly increase Russia’s anti-air range to around 373 miles and over 656,000 feet—high enough to hit objects in orbit. Russian technology is even causing rifts within NATO, with Greece considering upgrading its existing S-300 system and Turkey having already agreed a deal to purchase its own S-400s. US ambassador to NATO Kay Bailey Hutchison said Washington remained committed to a diplomat solution but was prepared to consider a military strike if Russian development of the medium-range system continued. BRUSSELS - Russia must halt its covert development of a banned cruise missile system or the United States will seek to destroy it before it becomes operational, Washington's envoy to NATO said on Tuesday. BRUSSELS (Reuters) - Russia must halt its covert development of a banned cruise missile system or the United States will seek to destroy it before it becomes operational, Washington’s envoy to NATO said on Tuesday. "At that point, we would be looking at the capability to take out a (Russian) missile that could hit any of our countries,” Hutchison told a news conference. The 1987 Intermediate-Range Nuclear Forces Treaty bans medium-range missiles capable of hitting Europe or Alaska. In Washington, State Department spokeswoman Heather Nauert said the United States had for some time argued that Moscow was not in compliance with the treaty. “What Ambassador Hutchison was talking about was improving overall defense and deterrence posture,” Nauert told a news conference. “The United States is committed to upholding its arms control obligations and expects Russia to do the very same thing,” she said, adding that the U.S. was discussing the issue with its allies. The Russian Foreign Ministry said that such statements were dangerous, and that it would provide detailed answers to Washington. “It seems that people who make such statements do not realize the level of their responsibility and the danger of aggressive rhetoric,” TASS news agency quoted spokeswoman Maria Zakharova as saying. In the past, the ministry has said it is ready for talks with the United States to try to preserve the treaty and would comply with its obligations if the United States did. The U.S. accusations are likely to further strain relations between Moscow and the West that are at a low over Russia’s 2014 seizure of Crimea, its bombing campaign in Syria and accusations of meddling in Western elections. The Kremlin said on Monday that Russia would be forced to respond in kind if the United States began developing new missiles after quitting a landmark Cold War-era treaty. Kremlin spokesman Dmitry Peskov told reporters on Monday that the US move would make the world a more dangerous place and said Russia would be forced to act to restore the balance of military power if Washington quit and started developing new missiles. (AFP) - Norway hosts NATO's biggest exercises since the end of the Cold War from Thursday, to remind Russia the Alliance stands united despite seeds of doubt planted by US President Donald Trump. VLADIMIR Putin is “not bluffing” about his threat to destroy US nuclear missiles hosted by European countries, a former Russian general has said. Evgeny Buzhinskiy, a retired lieutenant-general under the Soviet Union, said the post-Cold War “stability” of global nuclear arms control is being “ruined” by the US under president Donald Trump. He said it’s a “pity” Trump has threatened to withdraw from the 1987 Intermediate-Range Nuclear Forces (INF) Treaty, an agreement to prohibit certain land-based nuclear missiles. Buzhinskiy, chairman of Moscow-based think tank PIR Center, said the fate of global security depends on “what the next steps of the US are”. “If, in the worst case scenario, they try to deploy nuclear-capable mid-range missiles, say, somewhere in Poland, it will be the second Cuban Missile Crisis,” he told Daily Star Online from the Russian capital. The Cuban Missile Crisis was a 13-day confrontation between the US and the Soviet Union that was deemed to be the closest the world ever came to a global nuclear conflict. The Crisis, also known as the October Crisis of 1962, came to a head when the US deployed ballistic missiles to Italy and Turkey and Russia responded in kind by sending them to Cuba. Both nations eventually agreed to dismantle their weapons after long and tense negotiations between then US President John F. Kennedy and former Soviet premier Nikita Khrushchev. Buzhinskiy believes a similar crisis could ensue if US nuclear-tipped missiles are deployed to European military bases in the event the INF treaty collapses. Moscow’s response to Trump’s plans to quit the INF treaty could be to reinstall military bases in Cuba, the State Duma defense committee head said. He also predicted “a new Cuban crisis” if the US and Russia fail to come to terms. The US is planning to walk away from the crucial Cold War-era Intermediate-Range Nuclear Forces (INF) treaty, and Russia’s response may well be in the spirit of those times – namely, reactivating military facilities in Cuba. That is according to Vladimir Shamanov, the head of the State Duma defense committee and a former Airborne Troops commander. Indeed, the Cuban government has to allow the Russian military back, and this is more about politics than defense issues, Shamanov speculated. “Assessing this scenario is underway, and [policy] proposals will come next,” he told Russia’s Interfax News Agency without elaborating. This issue may be raised when Cuba’s new president, Miguel Diaz-Canel, visits Russia in early November. Diaz-Canel, a fresh face of Cuba’s Communist Party, is wary of foreign military presence, but “politics is living matter,” Shamanov said. “Cuba has its own interests and it was hurt by US sanctions,” he added. Previously, the retired Airborne General urged Moscow and Washington to come to terms and get back to reconciliation. “If we don’t stop it now and don’t talk, we actually may create conditions similar to those [which led to the] Cuban crisis,” he was quoted as saying by RIA Novosti. The Cuban Missile Crisis was a major confrontation that brought the United States and the Soviet Union to the brink of nuclear war in early 1960s. 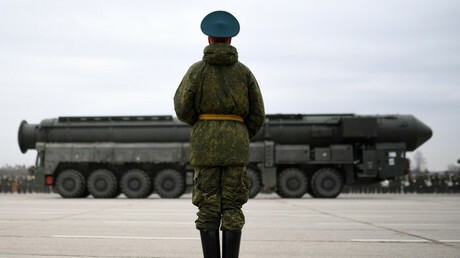 During the standoff, Moscow stationed Soviet nuclear-tipped missiles in Cuba in response to the deployment of similar-class American missiles in Turkey. Throughout the course of the Cold War, Russia operated a signals intelligence facility in Lourdes, Cuba. Opened in 1967, it was said to be the largest Soviet listening station abroad, with 3,000 personnel running the facility. After the collapse of the Soviet Union, the Lourdes base was downscaled, but continued operating up until 2001, when it stopped all operations. US President Donald Trump sent shockwaves earlier in October when he promised to withdraw from the INF treaty, citing the evergreen ‘Russia violated agreements’ argument. Russia fired back, stating the US itself had breached the milestone accord by deploying ground-based missile interceptors in Eastern Europe. Then-US President Ronald Reagan and Soviet leader Mikhail Gorbachev signed the deal in 1987, and it went into effect the next year. This was the first time in history the two superpowers agreed to dismantle the entire class of ballistic missiles and conceded to mutual inspections. A Russian diplomat has both confirmed and denied what US war hawks have been calling out. Moscow is indeed preparing for war, he said – just in case the US starts one. Speaking at the UN on Friday, Andrey Belousov, deputy director of the Russian Foreign Ministry's Department of Nonproliferation and Arms Control, said that Russia is indeed readying itself for war, so it can defend its people against American aggression. At a recent meeting, the US stated that Russia is preparing for war. 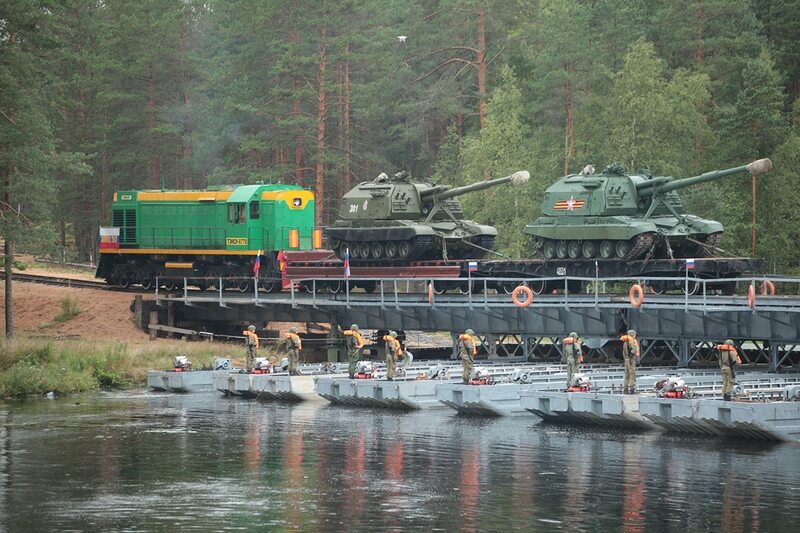 Yes, Russia is preparing for war, I can confirm it. 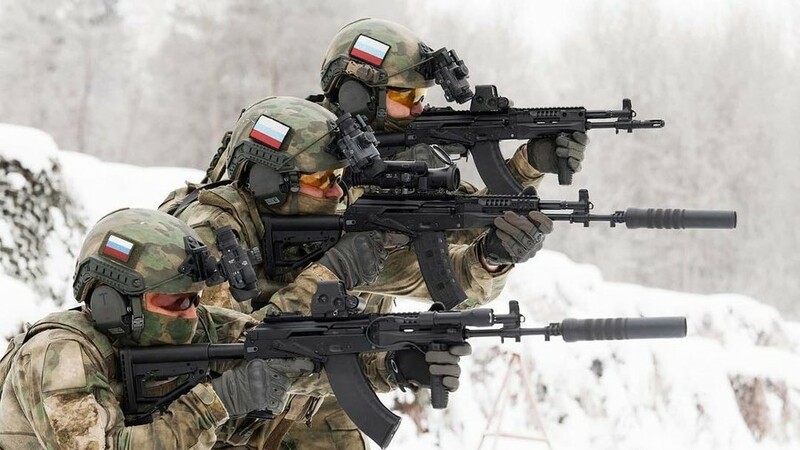 Russia's military build-up and large-scale drills, often painted in the Western media as preparations for all-out war, are a defensive necessity, he said. "We are preparing to defend our homeland, our territorial integrity, our principles, our values, our people." Russia doesn't seek a confrontation, he said, unlike the US. "Why else would the United States pull out of the [INF] Treaty, increase their nuclear potential, adopt a new nuclear doctrine that lowers the threshold for nuclear weapons use – that's the question for us all." Belousov's words came after a Russian draft resolution to reinforce the INF Treaty, which bans intermediate-range nuclear weapons, was overwhelmingly rejected at the UN First Committee. "Most of those who voted against were supporters of the INF Treaty. I don't understand their position," Belousov said. Among those who voted down the draft were the UK, Germany, France, and, of course, the US. Washington's decision to scrap the Cold War-era agreement alarmed both Europe and Moscow, which warned it would"make the world a more dangerous place" and vowed retaliation. Washington has accused Russia of building missiles prohibited by the INF, while Moscow argued that American missile defense complexes in Europe can be easily turned into offensive weapons. Russian President Vladimir Putin warned that if the US moves to deploy intermediate-range nuclear missiles in Europe, it will put the whole of Europe at risk of a retaliatory strike. Nearly half of US military troops believe America will be drawn into a major war next year and see Moscow and Beijing as main threats, according to a recent poll. But is there any basis for this anxiety among soldiers? Almost a half of soldiers and commanders in the US Armed Forces (46%) believe that their country will be drawn into a large-scale armed conflict in 2019, reveals a new Military Times' poll of active-duty troops. They didn't clarify though what kind of war with Russia they expect. Neither have they presented any analysis of a potential strategic armed conflict between Moscow and Washington. US servicemen didn't consider the latest trends and changes in the way our countries will do combat in the near future. They have briefly mentioned cyberattacks, but only the ones that took place this year. The US military didn't mention the three most important things that play a major part in any war: goals, methods/ways of achieving those goals, and means. Basically, they think that the war is imminent, but they don't know what kind of war it will be. Even though tensions in the Russia-US relations have significantly heightened, neither Washington nor Moscow has ever said anything about being ready to use armed forces in order to achieve military and political goals. Seems like the bilateral relations are at their worst today, but there are no ideological, economic, or territorial disputes that could provoke a large-scale war within a year. The existing and potential local armed conflicts, which political analysts enjoy listing (making sure they cover everything – from the Far East and all the way to the Western Hemisphere), will not cause a major war between Russia and the US either. The current situation in Syria proves that point because we see how Moscow and Washington do everything they can to avoid stepping on each other's toes in that region. Besides, and this is true for both countries, neither Russian nor US experts are able to outline concrete military and political goals, which such a conflict would pursue, in a few brief statements. No one can point out specific economic and sociopolitical factors and reasons that could trigger a military conflict between the US and Russia. It must also be said that a war can't be spontaneous and preparation for warfare takes time. Even if the two countries gear up for a large-scale war as fast as they can, it would take at least six months to get everything ready. And, given the high level of modern intelligence systems, it would be impossible to keep the potential adversary unaware of the preparation process under way. Apart from all that, armed confrontation between Moscow and Washington cannot start with only peacetime combat-ready units going into battle. It would be an outrageously reckless venture for both sides. Meanwhile, there is no intelligence data indicating that strategic deployment of troops has started in either of the two countries, which means that no one in Russia or the US is currently busy bringing the armed forces to combat readiness, or operatively deploying troops to theatres of war and in strategic space zones, strategically moving troops from inland areas towards the theatres of military operations, or deploying priority strategic reserve forces. It means that neither side is preparing for a large-scale military conflict. However, if we do try to classify a hypothetical war between the US and Russia, it would most probably be a protracted nuclear world war. From the very beginning, this warfare would be characterized by a mutual unlimited use of all available mass destruction weapons, primarily strategic nuclear arsenals, which would entail a catastrophic aftermath not only for the two belligerent nations, but also for all the other countries of the world. Both the West and the East know this perfectly well. Senior vice president of the Washington-based Center for Strategic and International Studies James Andrew Lewis wrote in September that with the advent of nuclear weapons, major powers have sought to avoid direct military confrontation, and wars between big, heavily-armed states became expensive and risky. According to Lewis, "the US finds itself now in a world where its soft power is diminished and its hard power less useful." Emerging powers see themselves as challenging the US for economic power, international influence, and regional leadership. Some have moved from challenge to conflict. In this environment, says Lewis, Washington's opponents will exploit the opportunities created by information technology for damaging the US and advancing their national interests. He calls it a new kind of conflict whose core is information and the cognitive effect it produces. As for the Military Times poll, we should remember that no such survey among military troops can be conducted without the approval of the top military and government officials. More often than not, the results of surveys like this are known beforehand; in other words, they will be what they are ordered to be. It seems that in this case the order was to add fuel to the fire, but no more than that. At any rate, it would not be wise to treat the poll results as an indication of what the US administration intends to do with war and peace in the near future. Last edited by vector7; November 1st, 2018 at 02:23. An exclusive interview with Lt. Gen. Ben Hodges, just-retired commander of the U.S. Army in Europe, who warns that war with China is likely in the next 15 years. The U.S. "could suffer unacceptably high casualties and loss of major capital assets in its next conflict," the National Defense Strategy Commission says. The report concludes that the Defense Department isn't financially or strategically set up to wage two wars at once and could even lose a war against China or Russia individually. The commission's co-chairmen — Eric Edelman, who was undersecretary of defense during the presidency of George W. Bush, and retired Adm. Gary Roughead, a former chief of naval operations bridging the Bush and Obama administrations — are scheduled to testify before both Armed Services committees later this month. Johnny Michael, a spokesman for the Defense Department, said the agency welcomed the report, calling it "a stark reminder of the gravity of these issues, and a call to action." "The department will carefully consider each of the recommendations put forward by the commission as part of continuing efforts to strengthen our nation's defense, and looks forward to working with the commission and the Congress to do so," he said. At the same time, "the United States has significantly weakened its own defense due to political dysfunction and decisions made by both Republicans as well as Democrats," he wrote, citing defense budget cuts "with pronounced detrimental effects on the size, modernization, and readiness of the military." President Donald Trump last week asked the Defense Department to cut $16 billion next year from its budget, which currently is at $716 billion — a 2¼ percent reduction. "U.S. forces will need additional resources to train to high levels of proficiency across a broader and more technologically challenging range of potential missions than in the recent past, particularly those missions focusing on advanced military threats from China and Russia," the commission wrote. But money isn't the only roadblock, it concluded. The commission welcomed the National Defense Strategy (PDF), a summary of U.S. military goals that Defense Secretary James Mattis released in January. The unclassified public version of the strategy document was widely criticized for being short on specifics, including force levels and cost, and the commission urged that more of it be declassified so it could be "used as a benchmark for measuring implementation of the strategy." The document "points the Department of Defense and the country in the right direction," the commission said, but it "does not adequately explain how we should get there." The 116-page report identifies outer space and cyberspace as particular problem points, among many others. "Because of our recent focus on counter-terrorism and counterinsurgency, and because our enemies have developed new ways of defeating U.S. forces, America is losing its advantage in key warfighting areas such as power projection, air and missile defense, cyber and space operations, anti-surface and anti-submarine warfare, long-range ground-based fires, and electronic warfare," it said. 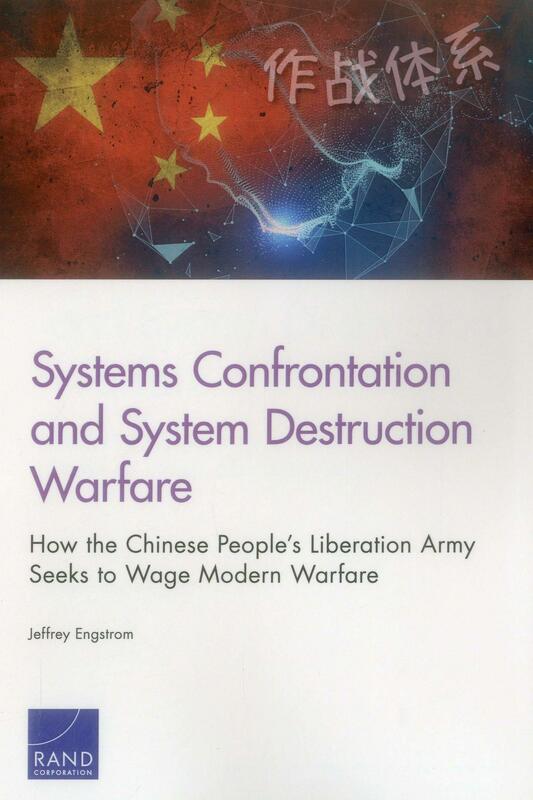 "Many of the skills necessary to plan for and conduct military operations against capable adversaries — especially China and Russia — have atrophied." "The costs of failing to meet America’s crisis of national defense and national security will not be measured in abstract concepts like 'international stability' and 'global order.' They will be measured in American lives, American treasure, and American security and prosperity lost. It will be a tragedy — of unforeseeable but perhaps tremendous magnitude — if the United States allows its national interests and national security to be compromised through an unwillingness or inability to make hard choices and necessary investments. "That tragedy will be all the more regrettable because it is within our power to avoid it," the panel said. (CNN) - In a far-flung corner of Iceland's main international airport, a once-raging strand of the Cold War is being rekindled -- NATO's hunting of Russian submarines. "They're letting us know that they're out there," Adm. James G. Foggo III, commander of US Naval Forces in Europe, said of Russia's increased submarine presence in the North Atlantic and Arctic oceans. "They're operating in much greater numbers and in places they have not operated before." And NATO is keen to respond and send its own message back. Thursday, the alliance begins its Trident Juncture exercise, a so-called Article 5 exercise that tests the readiness of NATO allies to restore the sovereignty of one of its members -- in this case, Norway -- after an act of aggression. It will be NATO's largest exercise in decades, involving 50,000 troops, 10,000 vehicles, 250 aircraft and 65 vessels, including a US aircraft carrier operating north of the Arctic Circle for the first time in almost 30 years. Tensions between Russia and the West are at highs not seen since the Cold War, amid the poisoning of former Russian intelligence agent Sergei Skripal in England, allegations of Russian interference in the 2016 US election and Western sanctions on Moscow following its annexation of Crimea. But Foggo, who is overseeing Trident Juncture, said the exercise isn't a threat to Russia, noting that NATO and Russian troops will be more than 700 kilometers (435 miles) apart during the maneuvers. NATO, he added, had invited Russian and Belarusian observers to monitor the exercise. "I want them to be there because that conveys the strength of the alliance," Foggo said. As the exercise plays out, it will involve air, ground and maritime operations, including anti-submarine warfare. Foggo said he believes Russia has over 40 combat submarines, more than 20 concentrated in its Northern Fleet, capable of operating in the North Atlantic and the Arctic. To keep track of the Russian subs, NATO planes are making a flight about every other day out of a revived US base at Keflavik International Airport. Iceland's foreign minister, Thór Thórdarson, said in a speech in Stockholm in January that alliance aircraft are operating out of the country with increased frequency, taking off from Keflavikfor a total of 153 days in 2017, a steady year-on-year increase from just 21 days in 2014. Established in 1951, the US Naval Air Station in Iceland was deactivated in 2006, as NATO shifted its focus in Europe south to the Mediterranean. However, the threat posed by a resurgent Russia and its submarine fleet has worried US military commanders and brought the Americans back to this island nation, which sits between Greenland and the United Kingdom. To get from bases in the Russian Arctic to the open Atlantic, Moscow's submarines need to pass Iceland. Foggo says those subs are a big headache for NATO's leaders. "The Russians have continued to invest in research and development and production of very capable submarines. They have been our most capable adversary," said the US admiral, who spoke with CNN in an exclusive interview. Russia says its sub fleet is defensive and necessary to safeguard the country's security. At this year's "Submariner Day" in March, Vice Adm. Oleg Burtsev, the former head of Russian naval forces, talked about the importance of beefing up the country's fleet of subs. "This is because the plans of the leadership of our country and our army are to ensure that we are capable of worthily countering any probable enemy from all directions," Burtsev said, according to Russia's Tass news agency. And another former top naval commander said Russia has some work to do to match the submarine fleet the NATO allies can muster. "I believe that the qualitative level of our fleet is quite high now, but its quantity is not yet enough," Adm. Vladimir Komoyedov, the former head of Russia's Black Sea Fleet, told Tass. Much of NATO's trouble with the Russian sub fleet is of its own making, said Carl Schuster, a former US Navy captain and current Hawaii Pacific University professor. "Much of (the Russian sub fleet's) current threat is based on the expansion of its operations and operating areas at a time when NATO countries have reduced their fleets and fleet operations," Schuster said, calling it "a serious threat only because NATO ignored it until recently to focus on other security concerns." Foggo says Russia's new generation of submarines is highly capable and dangerous. Among the newest is the Borei class: virtually silent, nuclear-powered vessels capable of launching ballistic missiles. The Borei class is a main pillar of Russia's underwater nuclear deterrent force, similar to the US Ohio class ballistic missile submarines. "This is beyond any doubt the future of our group of naval strategic nuclear forces," the head of Russia's naval forces, Adm. Vladimir Korolev, said recently at the christening of another new Borei class submarine. But Russia is also in the process of modernizing many of its older submarines, like the diesel-electric Kilo class boats. These can now stay under water longer and are capable of carrying four cruise missiles, which they successfully fired at ISIS targets in Syria, the Russian military says. "They carry the Kalibr cruise missile, a very capable weapon system. And from any of the places the Russians operate from, they can target any capital in Europe," Foggo said. "Would they do it? I don't think so, but nevertheless, we need to be cognizant of where they are at all times," he said. Schuster said that worry gives Russia an advantage. "Moscow 's aggressive actions and intent will determine the time and place of a crisis while Western nations must be present and ready to respond at all times," he said. And that's why NATO is methodically ramping up operations in Iceland. The US is spending $34 million to upgrade facilities at Keflavik, which will enable the Navy to deploy its P-8 Poseidon surveillance and anti-submarine aircraft more frequently. But even with the twin-engine jets running regular surveillance in the North Atlantic, finding Russian submarines is not an easy task. "The ocean is big .... It's a chess match between the sub commander and all the assets that are trying to find him," Lt. Cmdr. Rick Dorsey, the tactical coordinator for one of the US P-8 units operating out of Iceland, told CNN. "It's a combination of a lot of work, from a lot of different units." "We work with ships, we work with other aircraft, we work with other nations to help get the picture," Dorsey said. It's the sort of team work among allies that Adm. Foggo wants to encourage, applauding the UK and Norway for acquiring their own P-8 aircraft and calling on NATO members to invest in research and development to keep a competitive edge over Russia. "We must continue challenging them wherever they are and knowing where they are," he said. "We can no longer take for granted that we can sail with impunity in all of the oceans." - Are these paltry exercises more likely to deter or invite Russian aggression? 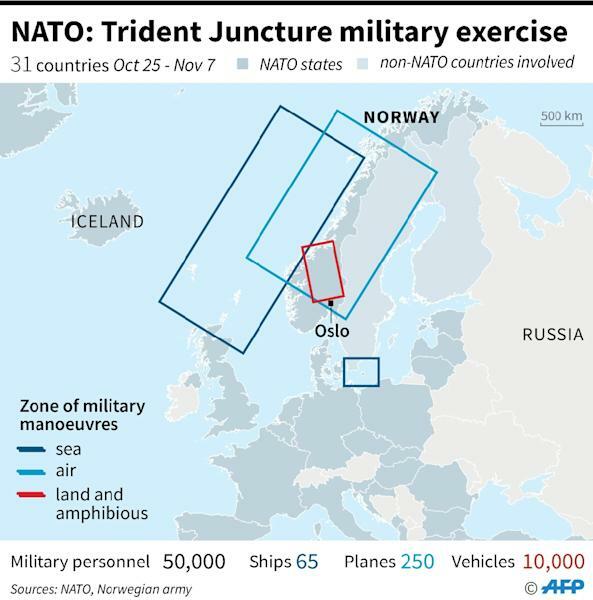 NATO recently concluded a major military exercise, its largest in years, called Trident Juncture 18, involving 50,000 troops, 10,000 vehicles, 250 aircraft, and 65 ships from 30 countries. Officially neutral Sweden participated, for the first time, as an unofficial NATO ally. NATO’s military exercise was supposed to deter increasingly aggressive Russia. Even Sweden broke decades-long neutrality to support NATO’s Trident Juncture 18, fearful of Russia annexing oil-rich disputed territories, including the arctic seabed. But Moscow was not intimidated or deterred. Indeed, during Trident Juncture 18, Russia waged electronic warfare against Global Positioning Satellites (GPS) supporting NATO forces playing in the military exercise. NATO forces need GPS for navigation and precision strikes. Bereft of GPS, NATO could lose World War III. Russia’s electronic attacks on NATO’s GPS during Trident Juncture 18 is a very significant escalation, far more troubling than Russian jets buzzing NATO ships and aircraft, now routine aggression, vociferously protested but passively tolerated by NATO and the U.S.
NATO’s reaction to Russian electronic warfare against Trident Juncture 18? Impotent protests. The balance of military and nuclear firepower between NATO and Russia is shifting so far in Moscow’s favor that deterrence is failing. The “Peace Through Strength” formula that for decades averted World War III and enabled the U.S. to win the Cold War peacefully has been neglected for too long. For years, as U.S. and NATO military and nuclear strength declined, leaks have appeared in the “deterrence dam” that has been holding back the flood of a new world war. Over the years Russian aggression has become increasingly bold. First starting small against Georgia, then annexing Crimea, the long crucifixion of Ukraine, challenging the U.S. in the Middle East, now electronic warfare against NATO. If strength preserves peace, weakness invites aggression. — Russia has 22,214 MBTs. — NATO’s Baltic states (Lithuania, Latvia, Estonia) have 3 MBTs. — NATO’s northern flank comprising Norway (52 MBTs), Finland (239 MBTs), and neutral Sweden (120 MBTs) has altogether 411 MBTs. ny (250 MBTs), France (200 MBTs), Denmark (57 MBTs), Netherlands (18 MBTs), Belgium (0 MBTs), Luxembourg (0 MBTs), Liechtenstein (0 MBTs) has altogether 1,588 MBTs. So Russia’s advantage over Central NATO, the European heartland, the conquest of which would decide World War III in the European theater, favors Russia in main battle tanks by 14-to-1. During the height of the Cold War in the 1980s, the USSR’s advantage over European NATO in MBTs was 5-to-1. Even more importantly, Russia has a virtual monopoly in tactical nuclear weapons, having at least 1,000-2,000 nuclear warheads for battlefield and theater use, whereas U.S. tactical nuclear weapons in NATO have declined to 100-180 obsolete gravity bombs. U.S. long-range strategic nuclear forces — the Triad of ICBMs, missile submarines, and bombers — is really the last line of defense deterring Russian aggression. The Triad deters China, North Korea, and Iran too. All over the world relatively small numbers of U.S. troops are deployed or occasionally appear in problem areas serving as “nuclear tripwires” to deter aggression, not by their inherent strength, but by reminding the bad guys to fear the U.S. Triad. For example, 5,000 U.S. troops in Poland and the Baltic states, or a U.S. aircraft carrier transiting the Taiwan Straits, are weak deterrents themselves, grossly inadequate to defend against the military might of Russia or China. But the U.S. troops and carriers are backed by the nuclear Triad, which has kept the peace and deterred World War III, so far. The Triad is in trouble. U.S. ICBMs, submarines, bombers, and their nuclear weapons are decades old, designed for deterrence during a different era, and now dangerously obsolete. Democrats, having captured the House in recent elections, promise to oppose President Trump’s plans to modernize the nuclear Triad. They oppose too President Trump’s plans to rebuild the strength, long neglected by President Obama, of the U.S. Army, Air Force, Navy, and Marines. Perhaps NATO needs to re-think exercises like Trident Juncture 18 and others until the U.S. can rebuild the strength and credibility of its nuclear and conventional forces. Trident Juncture 18 was intended as a show of strength, but looked to Moscow like weakness. Just in September, Russia conducted an enormous military exercise, Vostok 18, mobilizing 300,000 troops, 36,000 tanks, and other vehicles, 1,000 aircraft, and 80 ships. Vostok 18 dwarfed Trident Juncture 18. NATO has not conducted a really big exercise, like Reforger (that mobilized 115,000 troops), since 1987. Most Americans are unaware that NATO and the U.S. regularly conduct military exercises around the periphery of Russia extending the “nuclear tripwire” into non-NATO states, like Rapid Trident 18 (2,200 U.S. troops) in Ukraine and Saber Strike 18 (1,170 U.S. troops) in Georgia. Are these paltry exercises more likely to deter or invite Russian aggression? This article is a little over a year old, interesting in light of recent developments. If drawn into a war against Russia, U.S. and NATO forces would first begin combating Russian cyberattacks, misinformation and third-party surrogate forces, said retired Gen. Herbert “Hawk” Carlisle, former head of Air Combat Command. Carlisle said fighting likely will follow a period of steadily rising tensions and warnings. That would give the U.S. enough notice to start moving more airplanes, preparing logistics, and increasing combat capability in Europe, he said. Nevertheless, the Russians could seize the initiative and move quickly, putting the U.S. at a big disadvantage. Neutralizing Russia’s air defenses would be one of the most crucial — and dangerous — missions for the Air Force. 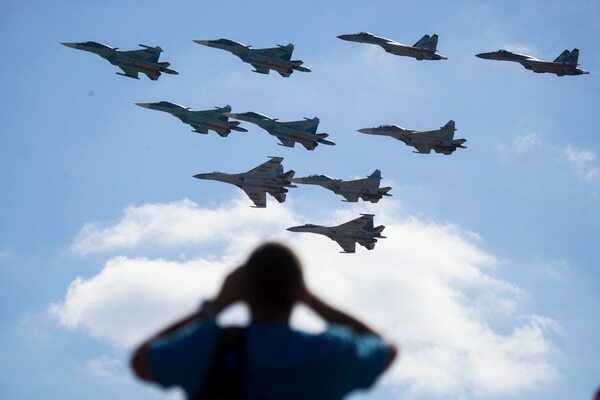 In the early hours of hostilities, as Russian tanks, fighters and bombers roll into the Baltics, Air Force jets from England, Italy and Germany would arrive to tease out Russia’s advanced surface-to-air defenses and then try to destroy them. The Air Force’s fighter squadrons in the region would see the most ferocious air-to-air dogfighting in decades. Article: What’s Putin up to? The Russian military buildup in Europe raises tension. 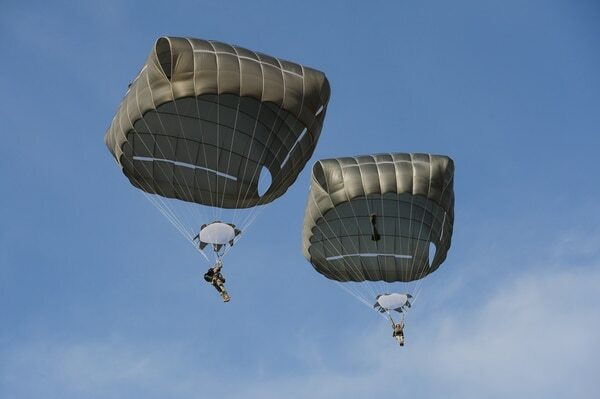 Simultaneously, the 173rd Airborne Brigade Combat Team in Italy and the 2nd Cavalry Regiment in Germany would join NATO forces to head to the fight. They, alongside NATO forces, would face as many as 22 maneuver warfare battalions that Russia has in its Western Military District along NATO’s border. Reports cite a window of 36 to 60 hours for Russian forces to reach and begin siege operations on Tallinn and Riga, the capitals of Estonia and Latvia. “Quality light forces, like the U.S. airborne infantry that the NATO players typically deploy into Riga and Tallinn, can put up stout resistance when dug into urban terrain. But the cost of mounting such a defense to the city and its residents is typically very high,” said a 2016 RAND study on deterring Russia. The Army’s 173rd recognized its own weaknesses if thrust into combat with Russia, according to internal review documents, as reported by Politico. The report states GPS communications would be disabled easily and quickly, forcing troops to rely on rusty high frequency radio communication skills. The brigade also has limited air defense or electronic warfare units. NATO forces, especially armor brigades in Poland, would have to cross the Kaliningrad corridor, wedged between where Poland’s border meets Lithuania and hedged on each side by Russian territory and Belarus. Meanwhile, the Russians could carry out previous promises to attack Polish missile defense systems. Incremental invasions of small areas of Baltic territory may or may not provoke a NATO response. But, experts agree, an attack on Poland would. The current two U.S. Army armored brigade combat teams in Europe would race to the fight but be outgunned and likely destroyed quickly. A Russian strike through Belarus into the Baltics would be so “quick and overwhelming” that, “like with Crimea,” NATO would have to accept that those states are now in the Russian orbit, said retired Army Maj. Gen. Robert Scales. “I think it’s very easy to consider a scenario where small units of NATO forces, to include American forces, could in fact be overwhelmed in the event of an attack,” said retired Army Maj. Gen. Richard Nash, a former commander in Bosnia. During recent war games, NATO tried to use indigenous forces to assist — “the outcome was, bluntly, a disaster for NATO,” according the RAND study. NATO infantry was unable to retreat and was destroyed in place. U.S. land forces, accustomed to air and sea dominance, would face Russian interference with their support and could be on their own for hours, days, and even weeks at a time. “What cannot get there in time are the kinds of armored forces required to engage their Russian counterparts on equal terms, delay their advance, expose them to more frequent and more effective attacks from air and land-based fires, and subject them to spoiling counterattacks,” according to the RAND study. While Atlantic-based Navy assets would be ready to engage, naval experts say Russian maritime maneuvering, along with their allies, will be able to delay and tie up the Navy elsewhere. “We can hardly pull the entire Navy out of the Pacific to do battle in Europe, lest we sacrifice our Asian alliances along with stakes of immense value,” said James Holmes, a professor at the U.S. Naval War College. China and Iran’s navies could keep major parts of the U.S. Navy bogged down away from Western Europe. Russian submarines would slow down seaborne reinforcements to the Baltics, Holmes said. The port of Sevastopol, Crimea, gives Russia a staging area for “anti-access” weapons in the Black Sea, Holmes said. “In short, it could make the Black Sea into a Russian lake — safeguarding that maritime flank,” he said. The Norwegian government has approved six-month rotations of roughly 300 Marines in Norway through 2018. In the event of a war with Russia, pre-positioned stockpiles would supply a force of 15,000 for 30 days of fighting and would likely provide the footprint for a larger force of Marines, said Keir Giles, a Russia expert with the Chatham House policy institute in London. 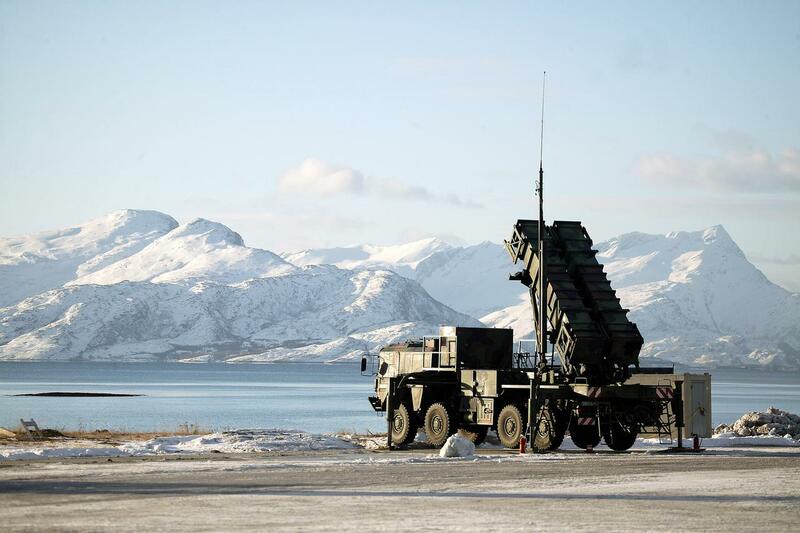 “We shouldn’t see this small contingent ... in Norway as a deterrent: It is simply providing a capability for rapid expansion, should it be necessary,” Giles said. While soldiers, Marines and some pre-positioned equipment could be flown in within days or weeks to reinforce fighting in the Baltics, armor and other heavy items must come aboard ship. The conflict could stall there, depending on the reaction of NATO forces and its strategic willingness. Or, fighting could expand. 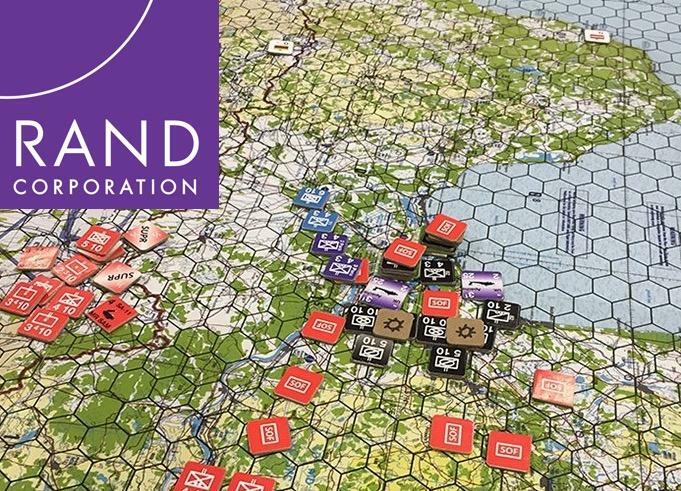 A delay gives Russia time to consolidate its gains, making NATO go on the offensive in one of the more difficult kinds of fighting — regaining lost territory. “God knows whether you could manage the conflict to bring about a ceasefire and a withdrawal or whether it would go larger,” Nash said. AMERICA would potentially lose a war with Russia and China, and suffer massive casualties in the process, a military expert has warned. In a report, US defence chiefs claim its historic military strength has been devastated, leaving it unable to fight more than one war at once. It was issued by the National Defence Strategy Commission, whose board are appointed by the House and Senate Armed Services committees. The report claims the US would also be at risk of losing a major war with either key rivals Russia or China. "US military superiority is no longer assured and the implications for American interests and American security are severe," it says. "The US military could suffer unacceptably high casualties and loss of major capital assets in its next conflict," the report went on. At the end of the report, it argues the US Department of Defence isn't ready — either financially or logistically — to fight two wars. 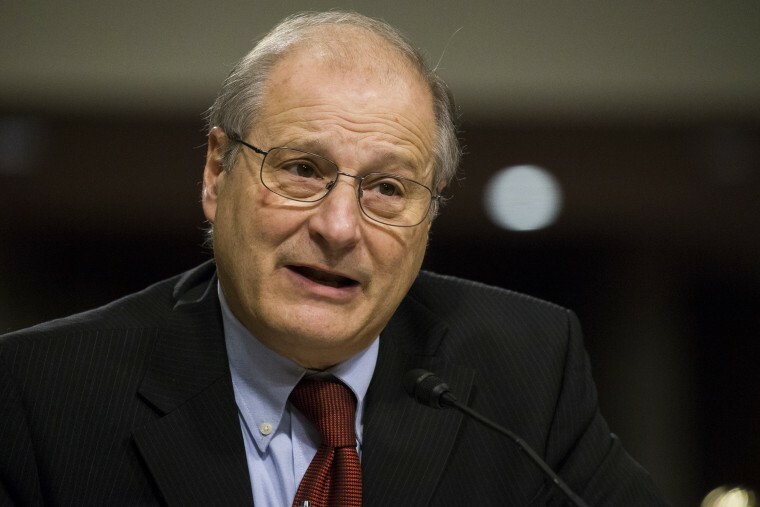 Commission co-chairmen Eric Edelman — who served as undersecretary of defence under President George W. Bush — and former chief of naval operations Gary Roughhead, will both testify before Armed Services committees later this month. Johnny Michael, a spokesman for the Defence Department, called the report "a call to action", and "a stark reminder of the gravity of these issues". 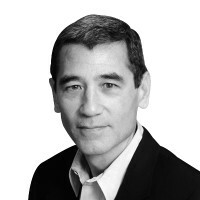 Edelman also warned in a separate post for the Atlantic Council policy institute that he believed the US was becoming a second-rate power compared to Russia and China under Vladimir Putin and Xi Jinping. "China and Russia, seeking regional hegemony and global power projection, are pursuing military build-ups aimed at neutralising US strengths," he claimed. And he slammed "political dysfunction" as well as mistakes by successive governments for the US weakening its own defence. Donald Trump last week ordered the Defence Department to cut a further $16 billion (£12.3 billion) from its budget. This marks a 2% drop from the US's $716 billion (£550 billion) military budget — by far the world's largest. It comes after US Defence Secretary James Mattis released a report in January arguing the States was losing out in many military fields. "Because of our recent focus on counter-terrorism and counterinsurgency, and because our enemies have developed new ways of defeating US forces, America is losing its advantage in key warfighting areas," it said. 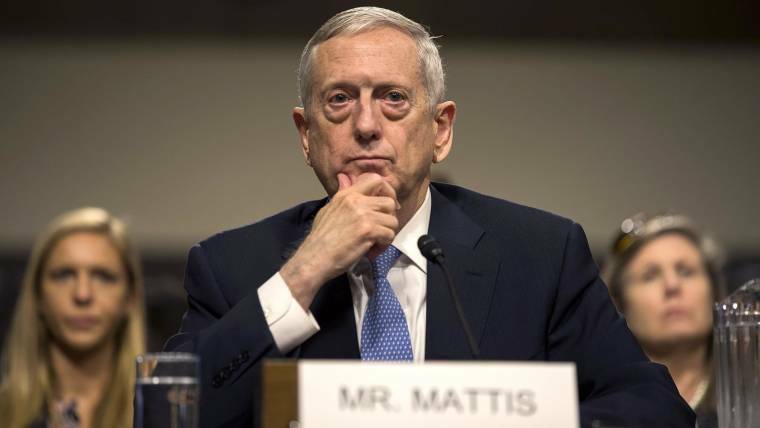 Mattis warned the US was falling behind on areas including "power projection, air and missile defence, cyber and space operations, anti-surface and anti-submarine warfare, long-range ground-based fires, and electronic warfare". And the report also warned the US's military failings would have real-world consequences. "They will be measured in American lives, American treasure, and American security and prosperity lost," it said. It comes at a time of growing tensions between the US and other military powers. Last month, Trump threatened Russia and China with a vow to build more nukes. "That’s why the 2020 budget coming out next week retires the carrier USS Truman decades early and cuts two amphibious landing ships, as we’ve reported. It’s also why the Marine Corps is buying the jump-jet version of the F-35, which can take off and land from tiny, ad hoc airstrips, but how well they can maintain a high-tech aircraft in low-tech surroundings is an open question," said Breaking Defense. Meanwhile, speaking purely hypothetically of course, "if we went to war in Europe, there would be one Patriot battery moving, and it would go to Ramstein. And that’s it,” Work complained. The US has 58 Brigade Combat Teams across the continent but doesn't have anti-air and missile-defense capabilities required to handle a barrage of missiles from Russia. 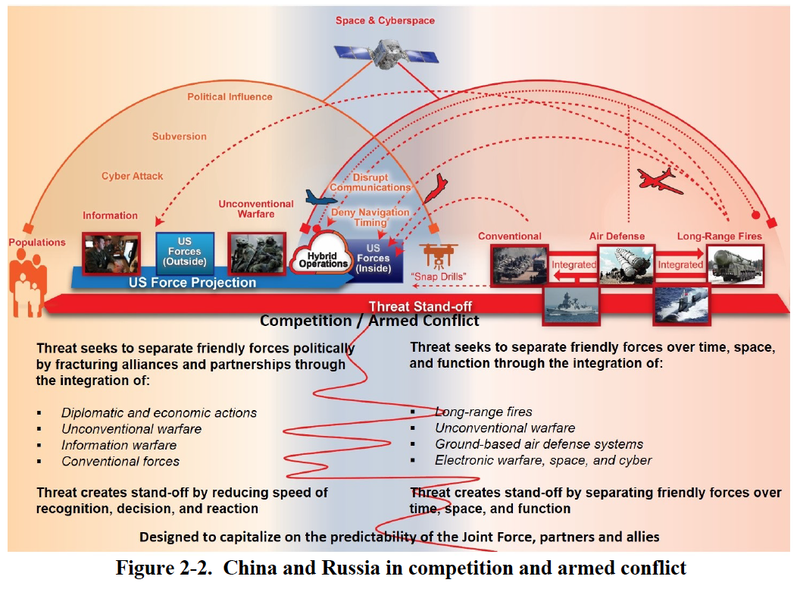 RAND also war-gamed cyber and electronic attacks in the simulations, Work said; Russia and China tend to cripple US communication networks. The Air Force asked RAND to formulate a plan several years ago to improve the outcomes of the wargames in favor of the US, Ochmanek said. “We found it impossible to spend more than $8 billion a year" to fix the problems. "That’s $8 billion for the Air Force. Triple that to cover for the Army and the Navy Department (which includes the US Marines)," Ochmanek said, "and you get $24 billion." Work was less concerned about the near-term risk of war, and he said, China and Russia aren't ready to fight because their modernization efforts have not been completed. He said any major conflict is unlikely for another 10 to 20 years from now. He said "$24 billion a year for the next five years would be a good expenditure" to prepare the military for World War III. 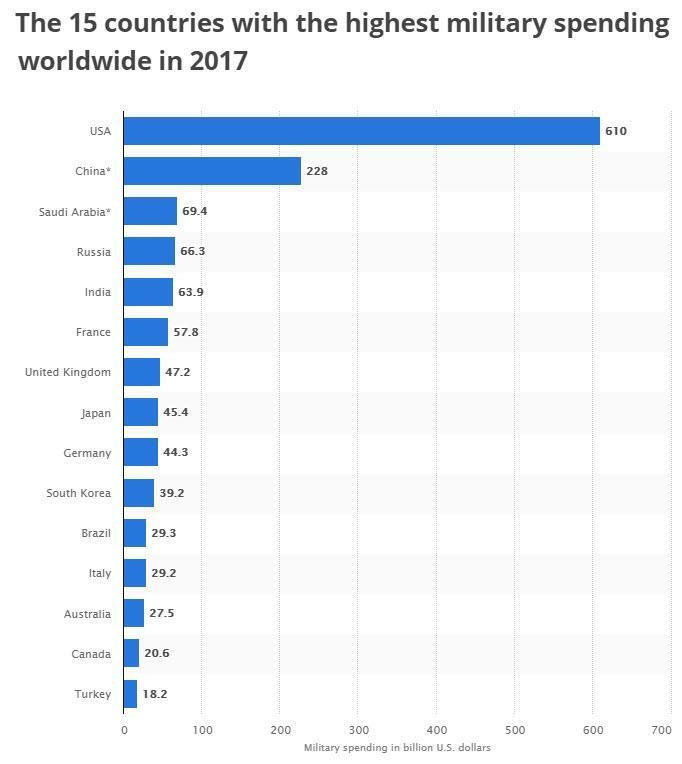 RAND offers a sobering assessment that America could lose a multi-front war in the future, which is quite shocking considering that the US spent nearly three times as much as the second biggest war power, China, did in 2017. With the defense budget stuck around $700 billion per annum for the remainder of President Trump's term, America's Warhawks are inciting fear through simulated wargames with one purpose only: demand more taxpayers' money for war spending. U.S. Air Force nuclear-capable bombers flew a training mission near Scandinavia, sending a clear message to Moscow. Five B-52 bombers flew over the Norwegian Sea Thursday, according to a statement from U.S. Air Force Europe, in a training flight reminiscent of those from the Cold War. Flights of this nature using long-range bombers have steadily increased over the past five years since Russia annexed Crimea from Ukraine. The American bombers joined Norwegian F-16 fighter jets in the training flight Thursday, according to the Air Force. Meanwhile Britain's RAF said a Typhoon fighter aircraft was scrambled from its Lossiemouth base, along with an RAF Voyager from Brize Norton, to monitor two Russian Blackjack bombers approaching British airspace. The Russian bomber flight took place Friday, one day after the American bomber flights. Late last year, a U.S. Navy aircraft carrier—USS Harry S. Truman-- launched aircraft north of the Arctic Circle for the first time in 30 years. During the Cold War, the U.S. Navy regularly sent aircraft carrier strike groups to the Norwegian Sea to simulate attacks on Russia’s Kola Peninsula, where a large concentration of Russian military bases are located. U.S. and NATO air force fighter jets regularly joined the training missions as well. “Training with NATO allies like Norway enhances the capabilities and readiness of the alliance,” the Air Force said. Recently, Russian fighter jets have intercepted American bombers flying over the Baltic Sea, but all interactions have been safe and professional, according to the Pentagon.